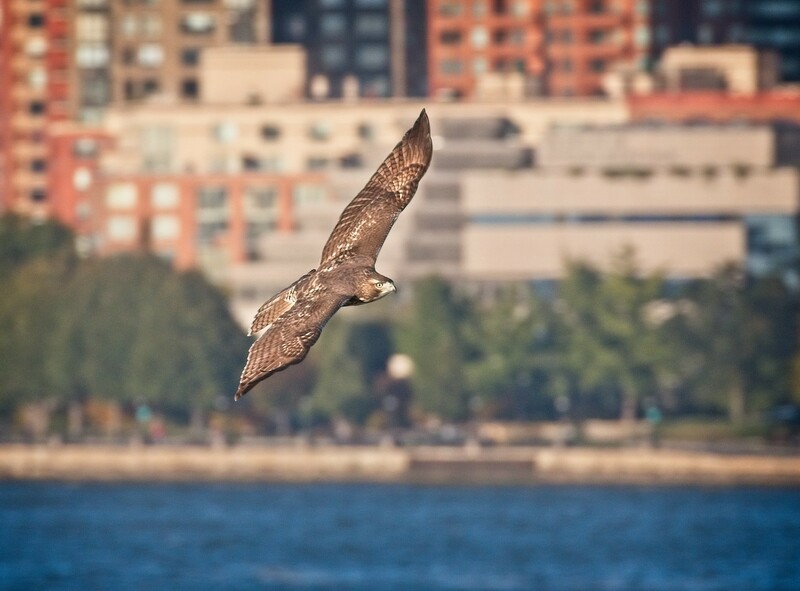 Back in 2014, I had a chance to get eye-level with our Tompkins Square red-tailed hawks, Christo and Dora, as they flew to and from their nest on the Christodora House. 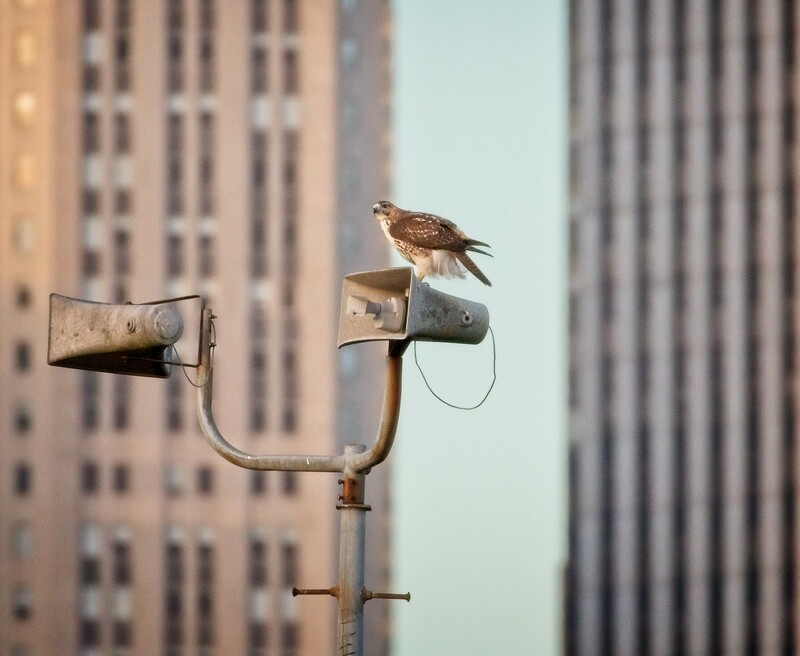 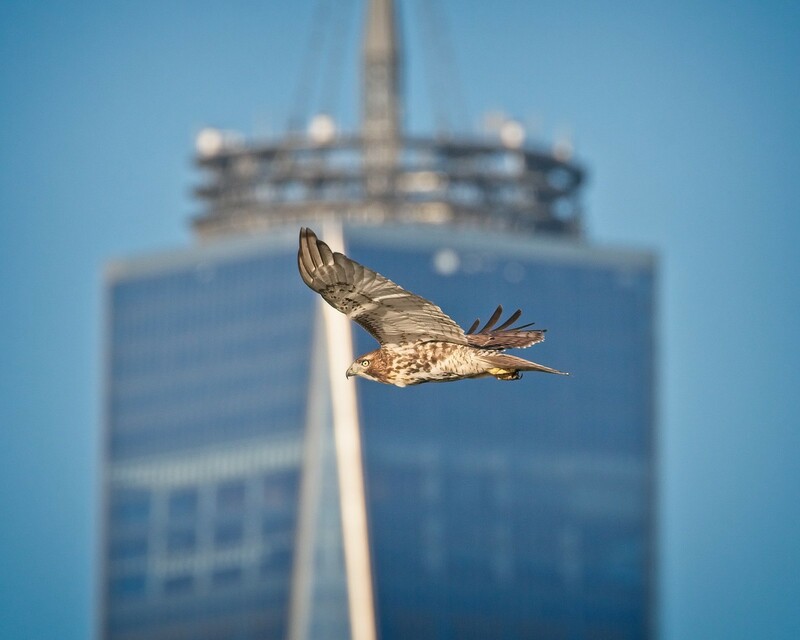 This was a rare opportunity for me to photograph the hawks with Midtown Manhattan in the background. 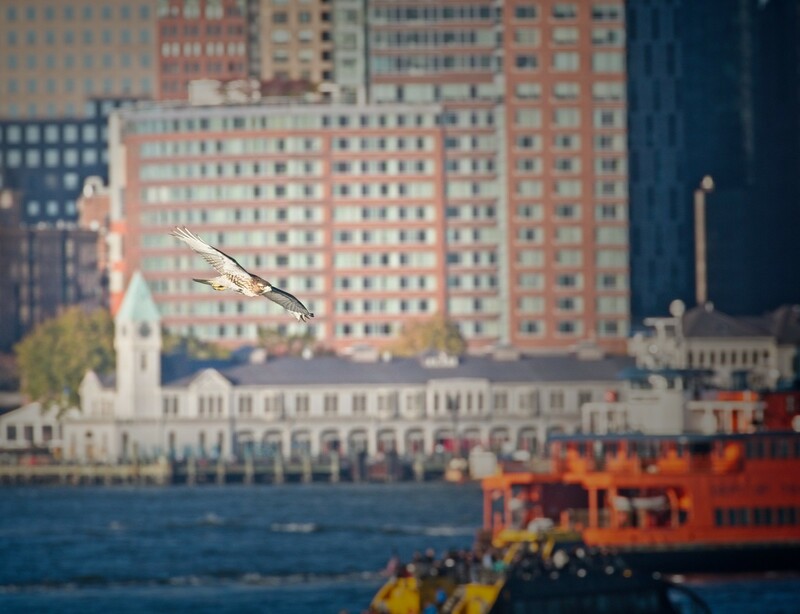 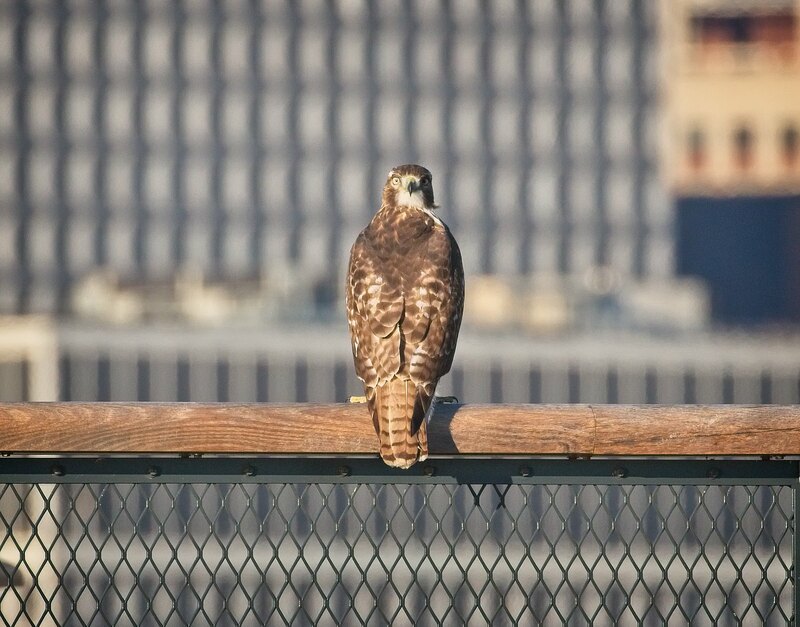 On a recent visit to the Hills at Governors Island, a young red-tail gave me another chance to photograph it with Downtown Manhattan in the background. 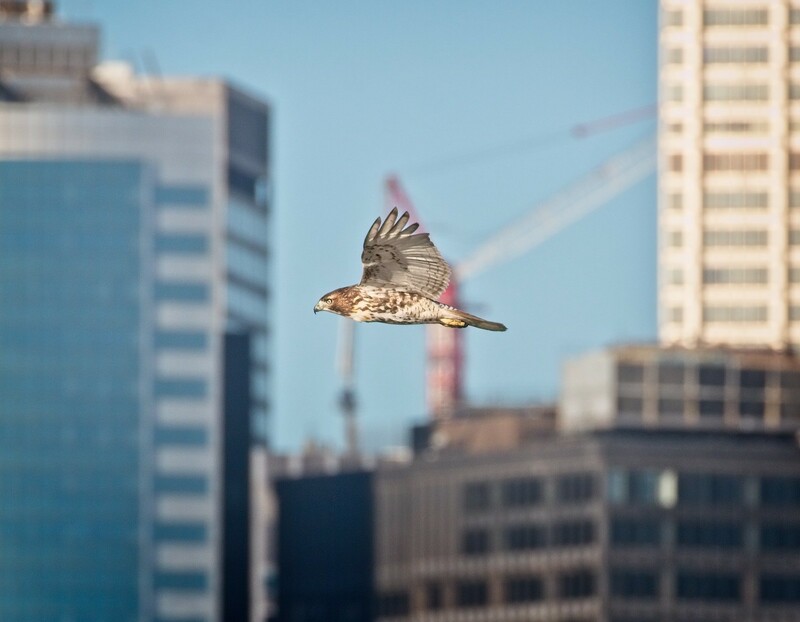 Although I spend a lot of time with hawks in the city, I don't often get to present them in their ultra-urban environment. 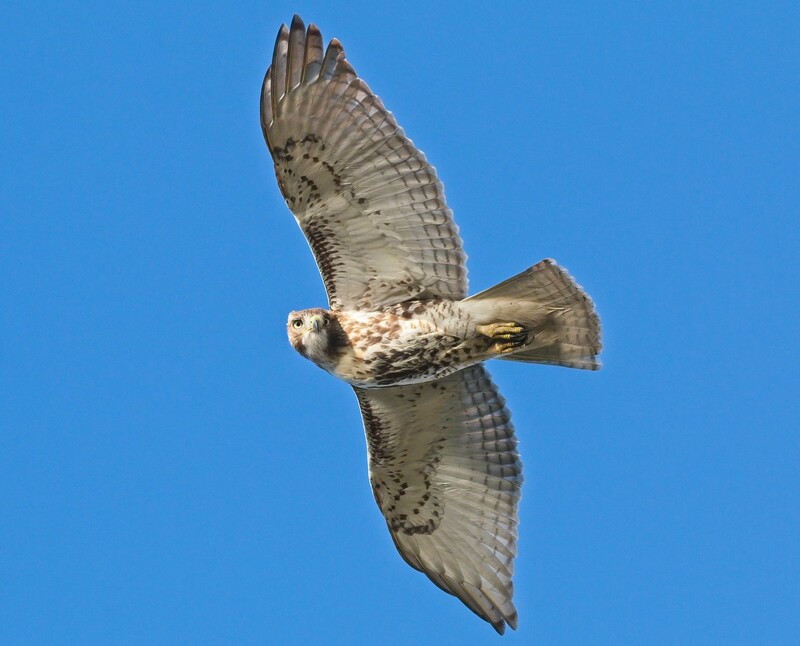 The photos below show the same red-tailed hawk as it hunts around the island. 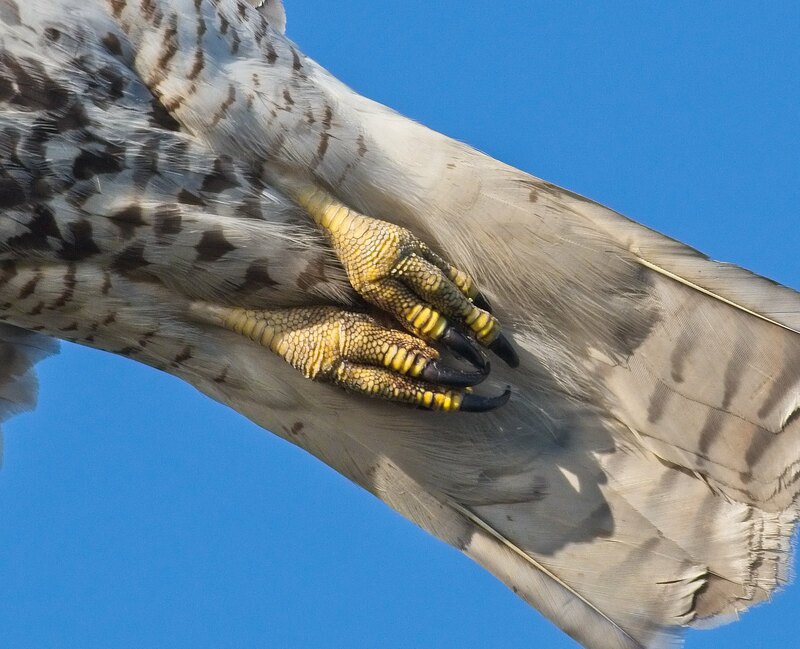 The hawk didn't seem to mind my presence and often flew so close to me, I couldn't focus the camera. 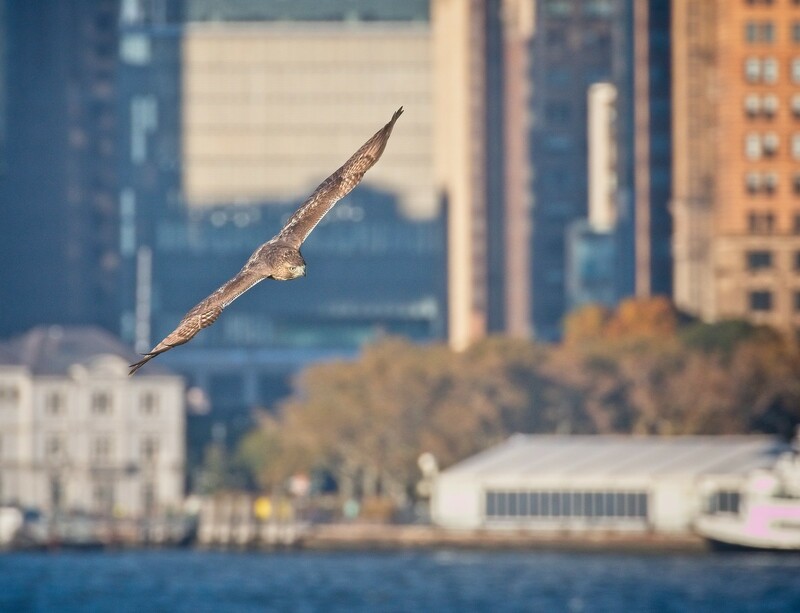 I stayed with the hawk for an hour as it flew around the Hills, and I reluctantly had to leave it as I had to catch the last ferry off the island. 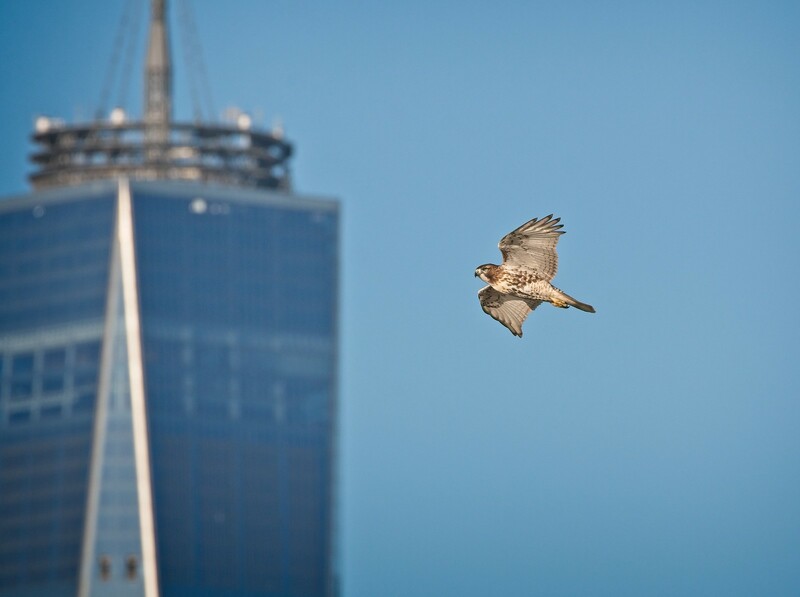 A friend took some nice video of the hawk in action on the day prior to my visit, which you can see on YouTube. 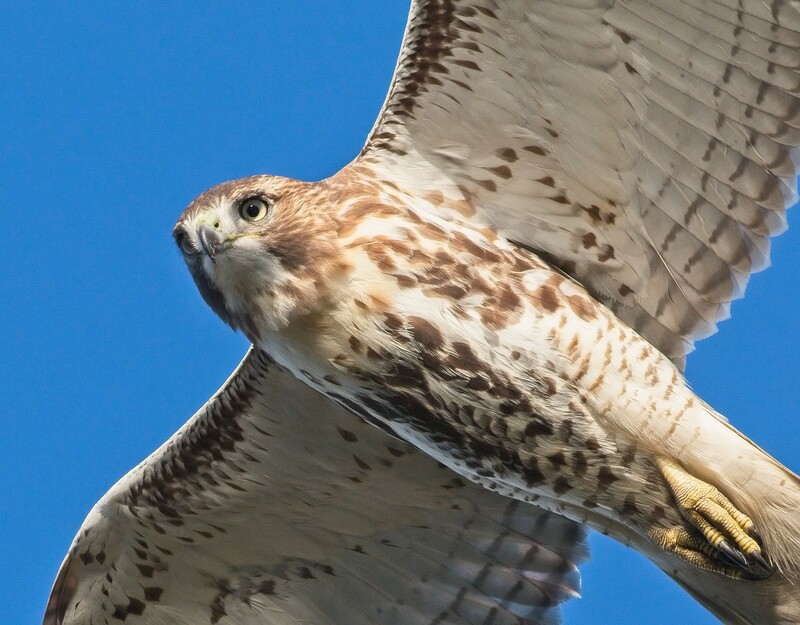 The video really shows how the hawk used the wind to kite and soar almost effortlessly.